We hope you've had a great winter and enjoyed the holidays. We have some changes to our schedule for this year, including a new event! First, our Starbucks in Aurora moved. From now on, all of our Ducs @ the 'Bucks events will be at the Starbucks in HUDSON. Second, this event will now be held on SUNDAY at 2PM. We hope this opens the event up for more people that were unable to attend on Saturday. Third, we are very excited about our new event! 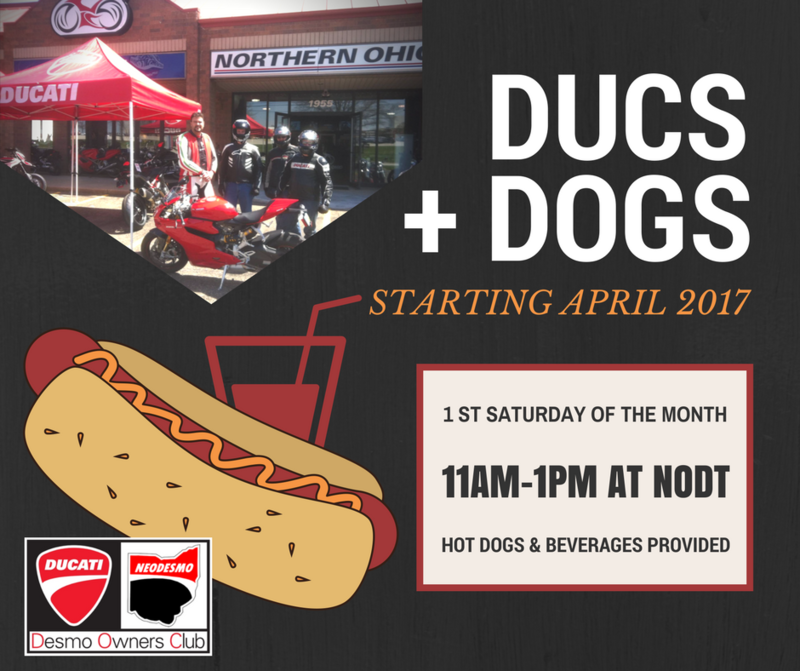 We will now be heading to Northern Ohio Ducati and Triumph on the first Saturday of the month from 11-1, with hotdogs and beverages provided by NODT! Thanks Carl!! 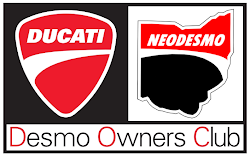 This is a great opportunity to hang out with your Ducati community, schedule service, browse the shop, etc. See you there! Our Club Mangia will now only be twice a year, once in June and once in September, to open and close the riding season. Dates and more information to be announced. Finally, our Bikes and Breakfast will still be at 9AM at the Dolphin in Northfield. This event will now be held on the third Saturday of the month. If you have any questions, please contact us at neodesmoclub@gmail.com. These events will be on our Google Calendar and on Facebook. Please remember to re-read our rules prior to the start of the season. Proper riding gear is required at all events and a liability waiver must be signed. Thank you to our volunteers, Raj Chandhok, Brian Jachim, and Dave Russell for helping us out in 2016 (and beyond) and we thank you in advance for your help again this year!